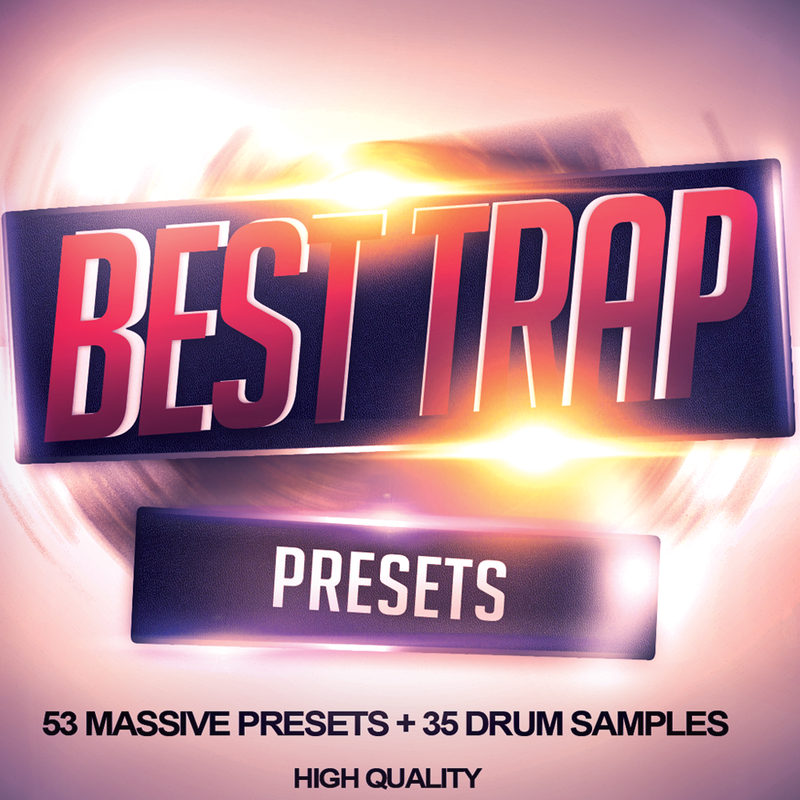 Introducing Best Trap Presets for Massive! A big collection of the finest sounds for Trap Music! Best Trap Presets was named "Best Trap Presets" because we feel it is the best Trap preset pack out that money can buy.. the quality is right up there with the top producers such as: Carnage, Brillz, RL Grime, Prismo, FLOSSTRADAMUS, Dotcom, Caked up, Bro Safari, Yellow Claw, Skellism, Instant Party!, Jaykode, Breaux, G-Buck, JayCeeOh, Luminox, Boombox Cartel, Tomsize, Whiiite, Just A Gent, Hucci, Slander, and more so if you love the sounds of the these amazing producers then look no further! We spent a good while to achieve the same style and quality. - 35 Drum Samples including 808, kick, snare, snap, hat, hit) Not only do you get 53 high quality unique sounds. We also provide you with some really good commercial quality drum samples that can be heard in the demo. These are custom samples you have never heard before.. some packs just re-use the same ole' samples.. but not here! These sounds are soo good.. they can be used for Future Bass, Chill Trap and even Hip-hop and they will definitely help you stand out in the crowd. So if you are a serious producer seeking serious sounds and samples, this is your pack.. we are sure you will satisfied!